Back pain is inconvenient at best, life altering at worst. Still, with or without it, we must continue to do what we need to do to participate in the activities of life. A common question asked by patients concern traveling. The specific questions asked are, when I have back pain, can I ride on a plane? 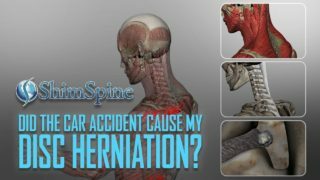 Should I be driving with back pain? If you have back pain, but must travel by plane, you need to plan ahead. Especially if the flight is a long one, you should request an aisle seat. That way, when allowable, please get out of the seat. As most back pain sufferers know, sitting is usually the most uncomfortable position. Standing up every hour or so allows you to take pressure off the back. In addition, the mere act of standing will stretch your muscles, and decrease the pressure on your lower disks. 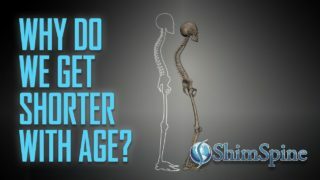 Also, as an added benefit, standing, and walking will allow your circulation to improve, and maybe will prevent developing a potential life threatening blood clot in your veins. When taking a plane, travel light. Unless you have help carrying luggage, you must plan to lift the luggage in the overhead bin, or from the baggage carriage. While many of your fellow passengers may assist you in some of the efforts, that is no guarantee. If you must have certain things at your destination, you might consider shipping the item ahead of you, so you do not need to carry it. While it is tempting to fall asleep on the longer flights, you run the risk of falling alseep in an less than favorable position. Many back pain sufferers awake with pains from sleeping. Plane seats just do not accommodate a neutral sleeping position. Stay awake, and maintain good sitting posture. While it may be uncomfortable at times, at least you are maintaining a better spine position when conscious. As a corollary to not falling asleep on a plane, please moderate the use of your pain medications and muscle relaxers on the flight for that very reason. I am not suggesting everyone upgrade to the much more expensive first class seats. But, there is more room in those seats, and you may have more freedom to shift in those seats, when having a significant back pain episode. Finally, on the longer flights, some patients find breaking up the flight with a layover makes travel more tolerable. In the end, the decision to fly, and how to fly is ultimately up to you. But consider the points above if you must travel by air. Traveling by Car has more options. If you are having a bad episode, I suggest you let someone else drive. If you must drive, remember not to drive while taking narcotics or muscle relaxers. 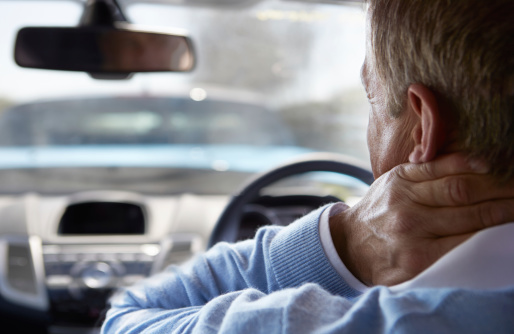 Make frequent stops to stretch the muscles. Consider the type of car seat. If you have a choice, avoid low bucket seats, and drive a vehicle that has a more upright, and firmer seat. Make sure you maintain your lumbar lordosis while sitting, and use a lumbar roll. If you have a very long drive, consider breaking up the drive over several days. Like flying, consider the weight and type of luggage. While these suggestions seem like common sense to some, you will be surprised by the number of patients who have not thought of these issues when traveling. Content from Dr. J Shim based on over 20 years as an Orthopaedic surgeon in private practice.